M71 is an intriguing object. It is easy to find - right in the centre of the shaft of Sagitta the arrow. Look at the two images and they appear to be of different objects. Surely the photograph is of an open cluster and the drawing is of a globular? 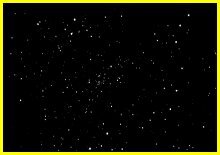 It took me a long time, matching the star field of the photograph to the star field on SkyMap, to convince myself that they are one and the same. 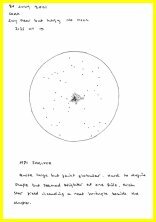 In fact prior to 1946 M71 was considered to be an open cluster. Now it is officially a globular.